Companies will go to fascinating lengths to demonstrate their belief in a product, but there was still something refreshing in watching Solidoodle founder Sam Cervantes climbed atop his company’s latest creation, beaming. After all, the announcement of a $500 printer back in April left us wondering what sorts of corners the company would have to cut to offer a product at a fraction the cost of what Cervantes’ former employer, MakerBot, has brought to the market. Asked whether Solidoodle had to make any compromises to hit such an impressive price point, the one-time aerospace engineer stood by his product’s build quality. And then he stood on it. Announced in November and due out next month, the company’s latest product doesn’t quite hit that price point. Solidoodle had to drive cost up a fair amount to double the last generation’s build platform to 512 cubic inches. Still, $799 seems like chump change for entrance into the nascent world of home 3D printing, particularly for a device that is built as solidly as Cervantes claims. The team popped by our New York offices to drop off and stand on the Solidoodle 3. 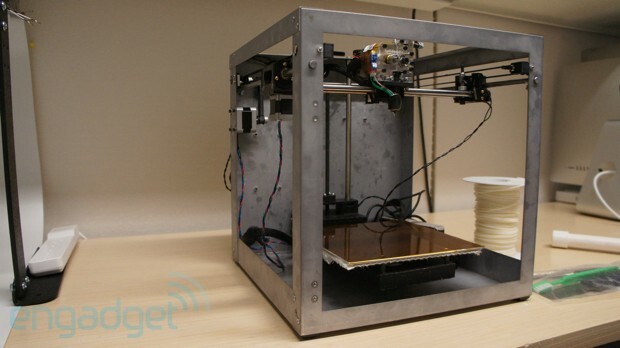 Cervantes was quick to point out that the printer is still firmly in prototype mode (in fact, it’s the first prototype to leave the confines of the company’s headquarters), with his team doing its damnedest to get the product in the hands of customers by early next month. A quick glance at the rear of the printer confirms this — there’s a fair amount of exposed wiring back there and the spool of plastic hangs on an exposed PVC pipe. It was all the way back in January, when Blue Microphones made its CES announcements, that the Spark Digital first broke cover alongside two other mobile recording devices. Our interest was immediately piqued thanks to the mic’s USB 2.0 and iOS connectivity, which allows it to support the iPad, iPhone and iPod touch via the 30-pin jack. After a grueling wait that lasted until just a few weeks ago, Blue’s latest offering finally arrived. Was the long wait worth it? 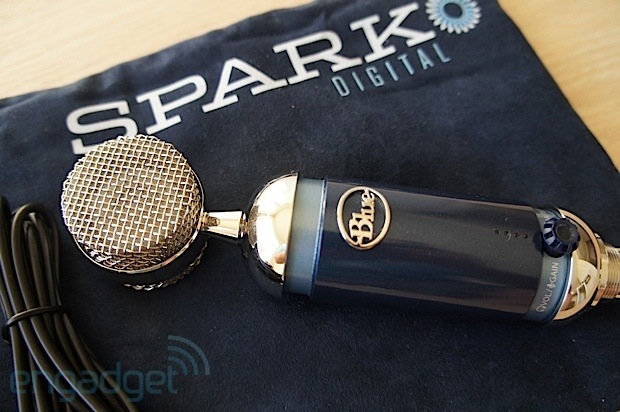 Does the Spark Digital do its part to bolster Blue Microphones’ reputation for stellar recording wares? Join us past the break as we put the peripheral through its paces and give you answers to those very queries. Lingering concerns that Nokia might not upgrade all its Windows Phone 7.5 roster to 7.8 might have just been put to rest. 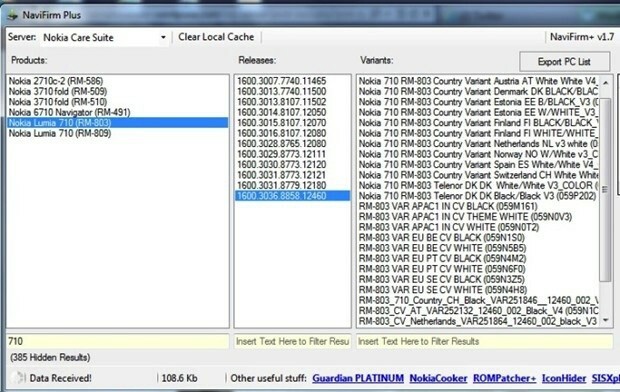 Just a day after updates for the Lumia 510 and 800 were caught on Nokia’s servers through NaviFirm, updates have also been spotted for those devices that didn’t make the initial cut: the Lumia 610, 710 and 900 have all appeared, each with numerous region-specific updates in tow. Their existence still doesn’t constitute a formal update, so be aware that you’re gambling with your phone’s health if you install them without any word from Microsoft or Nokia. Suffice it to say that full availability is clearly getting close — and that it’s less probable any Lumia will be left behind. This entry was posted on December 15, 2012, 5:30 pm and is filed under Mobility. You can follow any responses to this entry through RSS 2.0. Both comments and pings are currently closed.